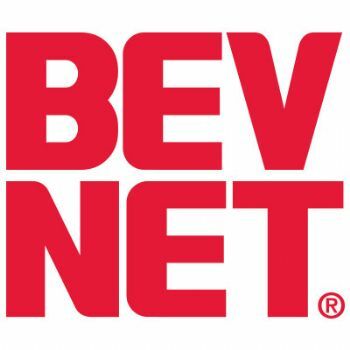 BevNET Live attendees will hear from experts in sales, law, and brand-building during a series of breakout sessions held on Monday, June 4. All breakout sessions will be held in the main lecture space of the Metropolitan Pavilion, concurrent to the activities at the Tabletop Expo and discussions on the Expo Stage. As part of “Think Small to Grow Fast,” GBS Growth Partners’ John Blackington will take entrepreneurs on a tour of micro-marketing strategies designed to help companies establish their sales bona fides even before they bring key distributors on board. Blackington and partner Jack Brennan will offer an in-depth look at the ways companies can burrow deeply into a specific geographic area to generate the sales numbers and visibility that can not only offer a compelling argument for why distributors should take on new products, but do so on more favorable terms for the entrepreneur. The pair, who have deep marketing and sales backgrounds with both large and small beverage companies, will also introduce ways that entrepreneurs can hone their approach so that when the time comes for a company to achieve greater scale it can do so quickly and with fewer mistakes. During “Civil Suits: Awareness and Avoidance” attorney Justin Prochnow will offer the audience insight and strategies for avoiding the current wave of class-action lawsuits based on state and federal consumer protection laws. With beverage companies and their suppliers continuing to provide consumers with cutting-edge ingredients and functional properties, the need for awareness of potential civil litigation is becoming increasingly important. Innovators will benefit from the knowledge Mr. Prochnow has acquired through his ongoing advisory work with beverage entrepreneurs through both his legal practice and his discussions with BevNET on the ways companies can work within the strictures of regulation and law while still expressing their key attributes. This presentation, from Goodbelly CEO Alan Murray will also feature a panel with VEB’s Tom Larsen and Olivier Sonnois, the founder of Brands Within Reach. All three have used licensed foreign technology or branded trademarks to develop growing brands within the U.S. – Goodbelly via a licensed non-dairy probiotic strain, VEB through a partnership with Italian coffee company Illy and Brands Within Reach via products like Volvic Natural Spring Water and Carpe Diem Kombucha. Mr. Murray’s presentation will focus on the ways entrepreneurs can determine the viability of a foreign property for domestic development, the challenges and opportunities that imported brands entail and a look at the way Goodbelly was able to build a brand around the licensed technology. Following the presentation, the panelists will provide a detailed discussion of the ways they have been able to harness the power of established international companies for the development of their own emerging brands. Fewer than 40 seats remain for BevNET Live Summer 12, which will be held on June 4 and 5 at the Metropolitan Pavilion in Manhattan. If you are interested in attending, register now.